AWESOMEZ.NET: "A long time ago in a galaxy far, far away...."
Space was considered very awesome in the late seventies. 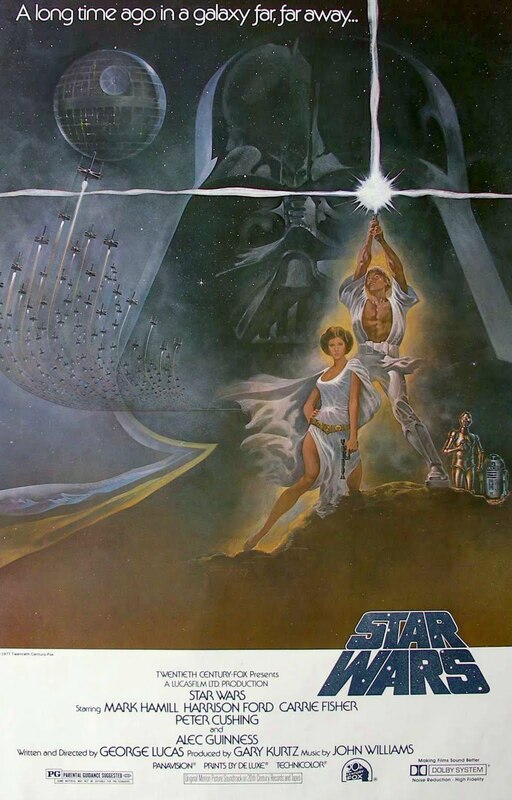 One of the main reasons for this was the movie: Star Wars which premiered in 1977. I grew up in a small fishing village in the North of Norway, where we didn't actually get Star Wars until sometime during the early eighties, because that was when the late seventies got there... But i digress! 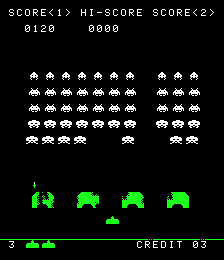 Space Invaders was so awesome for its time that it is generally considered to be the game that started off the golden age of arcade video games, which lasted from about 1978 - 1983. A lot of the games from this period were about space, aliens and lasers. Another likely reason for this was that the hardware used to run the games at the beginning of this era, had only a monochrome palette to use for graphics, so you could either have a black background with white objects or the other way around. Large white areas are however somewhat headache-inducing on bright screens, so most developers went with the black background option, which lends itself nicely to a "spacey" kind of look. As you can see from the screen-shot of Space Invaders here, there is also some green color on the screen. This was actually a very low tech special effect accomplished by pasting semi-transparent green plastic over that particular part of the screen in order to create the illusion of a multi color display. By the time multi color graphics was introduced, the black-background-with-spacey-objects aesthetic was firmly entrenched in the game designer mindset of the time, and thus was the genre of shoot 'em ups or SHMUPS in space born. One of the first games to use a multi-color palette was Galaxian from 1979, a game that in addition to more color introduced different movement patterns, or "personalities" for aliens of different kinds. The game was quite impressive for its time, but it plays a little slow as it allows only one player-shot to be on the screen at any time. This was fine for the predictable Space Invaders of the year before, but for the dynamic and more lively aliens in Galaxian it disrupts the flow. The concept was fine-tuned for its sequel: Galaga from 1981. The rate of fire is increased and flow is much improved. It also introduces a level of tactics through an enemy type that can double the players width of fire at the cost of a life. It is in my opinion the finest of the earlier SHMUPS. It doesn't do much, but what is there is polished to perfection. It is a game well worth playing even today. Games today vs. in the "Old Days"